Located in the Sonoran Preserve North, this second longest preserve loop takes you beyond the Apache Wash and Ridgeback Trails. After 0.86 miles, you will junction with the Apache Vista trail where you will continue on the Sidewinder Trail for another 0.32 miles. At the Apache Wash junction, stay on the Sidewinder trail for another 1.2 miles intersecting the Ridgeback Trail. Continue on Sidewinder Trail for another 2.3 miles where you will join with the Ocotillo Trail. 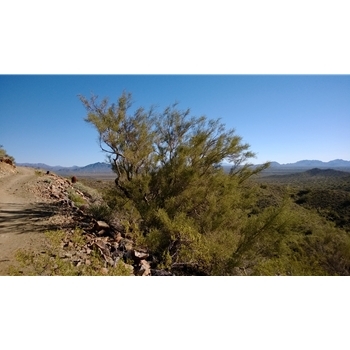 This last part of the Sidewinder trail offers rather suprising ridge line views and expanses! To finish off the loop, you will follow the Ocotillo Trail back to the parking lot in 3.1 miles.